Craftin' Caro: Deals of the Week #2 + more! Deals of the Week #2 + more! It's going to be a very busy month what with the Creativ Festival this coming weekend, my e-newsletter & latest subscriber-only contest going out tomorrow, and cool deals from SU as well! 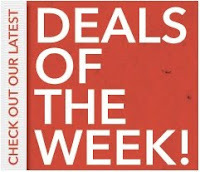 Here are the latest DEALS OF THE WEEK from Stampin' Up!, valid until Monday October 19, 11:50 AM Eastern Time. With a little effort, this burst of sunshine will add volume and dimension to any project. 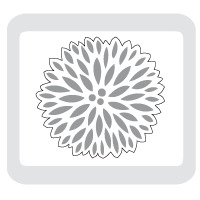 The modern flower has an Eastern influence, and would look stunning used with the Eastern Blooms stamp set. A perfect event needs a perfect setting and we've got you covered with our Perfect Setting Bigz XL die. 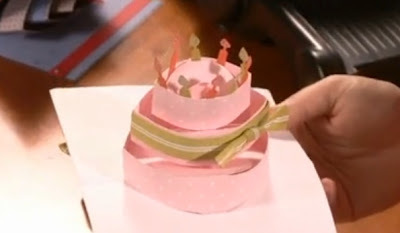 With it, you can create cupcake holders and napkin rings from card stock, Designer Series paper, or other material. The cupcake holder is designed to hold a standard-size cupcake. This design is part of Shelli’s Signature Collection. ■ Die size: 6" x 13-3/4"
Why settle for one dimension when you can have three? Create perfect wedding and party projects with this pop-up die that will add dimension and depth! Contact me ANYTIME to place an order, or go online to place it at your leisure!